What is the iweigh movement? It's 2018... Shouldn't we stop placing a woman's worth on her appearance? Her recent interview with Channel 4 News has been trending on different social media platforms, with the companies who she criticises hitting back with comments on her own figure as a hypocrite. To say she responds with grace and humor is an understatement, Jamil has been very candid about how much these notions of how a woman's body should look like affected her, with her Instagram detailing how her younger self would have scrutinized one of her recent photoshoots (which honestly, I can't even see cause girl look flawless). Her honesty and sincerity to promote women to love themselves for their achievements and struggles have gotten the attention of the internet with nearly 140k followers on the @i_weigh Instagram handle and 348k followers on her own Instagram handle. 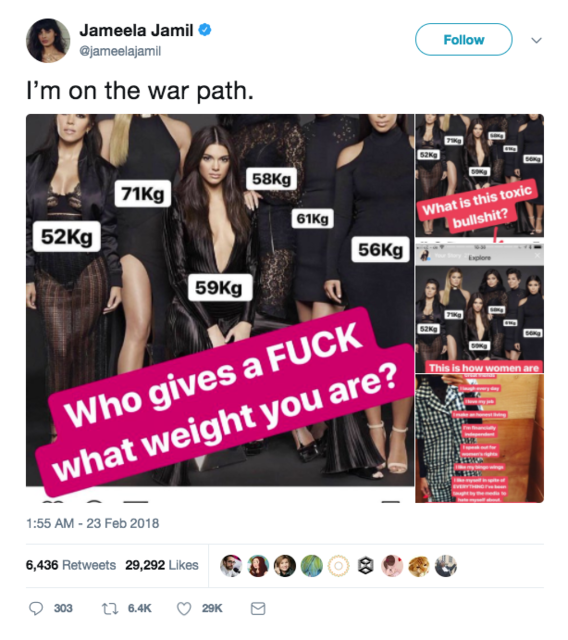 The 'i weigh' Instagram handle is honestly the most positive and uplifting pages, with everyday women and celebs alike submitting unedited pictures of themselves with a list of things they define them and not the oh so perfect body. With women of various ages, races and sizes participating Jamil have tapped into something many of us forget to do in this crazy fast-paced world… loving yourself. 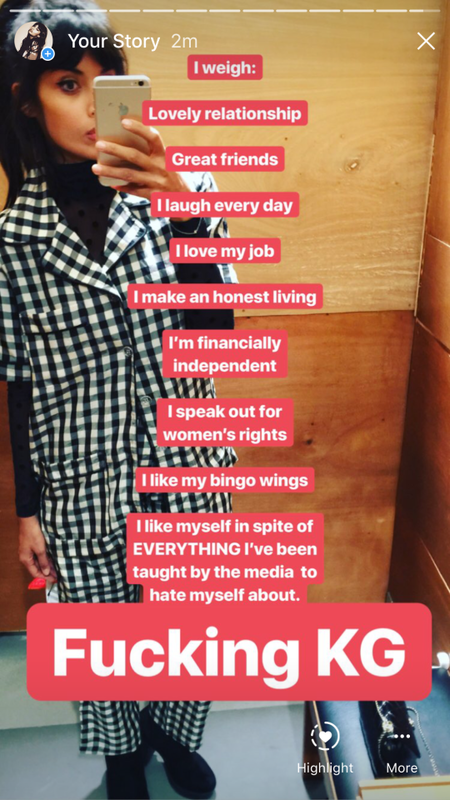 With her uplifting message of loving yourselves and celebrating each other and not placing your worth on your physical experience irregardless of your gender, Jameela Jamil is the type of woman you should follow. It also helps that she's ridiculously funny and wonderful and so easy to love!